Russia’s economic grip over Armenia may be loosening ever so slightly, highlighted by Moscow’s diminishing role in the South Caucasus country’s power sector. Russian gained control over Armenian power plants and the national gas distribution network as a result of controversial assets-for-debt agreements with the Armenian government in 2003-2006. These days, state-run Russian corporations supply the bulk of natural gas consumed by Armenians. Russian companies likewise own many of Armenia’s key energy assets, providing the Kremlin with lots of economic leverage over a country that it considers its closest ally in the Caucasus. But Russia’s commanding economic presence now seems to be on the wane. One of the Kremlin-controlled energy giants, Inter RAO, essentially pulled out of Armenia late last year, selling the country’s debt-ridden electricity distribution network and largest thermal-power plant to the Tashir Group, a collection of companies run by Armenian-born businessman Samvel Karapetian. Power plants controlled by the Russian state now account for only up to a quarter of Armenian electricity production, according to a calculation based on National Statistical Service data. Last year also saw the sale of Armenia’s largest hydroelectric complex to an American entity, the New York-based ContourGlobal. The $250-million deal marked the largest single private investment coming from the United States in Armenia’s history. The planned construction of a major hydroelectric station on the Arax River between Armenia and Iran should further diversify the power sector. The recent lifting of international sanctions against Iran is expected to speed up the repeatedly delayed implementation of the estimated $300-million project. In recent months, the Armenian government has also reported preliminary agreements with European investors interested in building two new thermal-power plants in Armenia. The World Bank cautioned in a June 2015 report that the country will need an additional 250 megawatts of gas-fired power by 2020 to avoid an electricity shortage. Kochnakian noted that Russia continues to deliver more than 80 percent of the natural gas used by Armenia and is the sole supplier of fuel to the Metsamor nuclear plant, which produces more than one-third of the country’s electricity. Russia’s Gazprom monopoly also owns the country’s gas distribution network. In coming years, though, Yerevan plans to more than triple the presently modest volume of gas imports from Iran. Armenia has been paying for Iranian gas with electricity generated at a thermal-power plant located in Yerevan. Its power supplies to the Islamic Republic should rise sharply following the construction of a third electricity transmission line connecting the two neighboring countries. Work on that line began last year and is due to end in 2018. A similar new high-voltage facility will also connect Armenia to Georgia. The $115-million project, slated for completion by 2018, is mainly financed by Germany and the European Union. It will allow Armenia to increase its imports of cheap electricity from Georgian hydroelectric stations during the spring and summer, Armenian Deputy Energy Minister Areg Galstian said on April 13. That would presumably make Armenia less reliant on the more expensive supplies from domestic power plants using Russian gas. 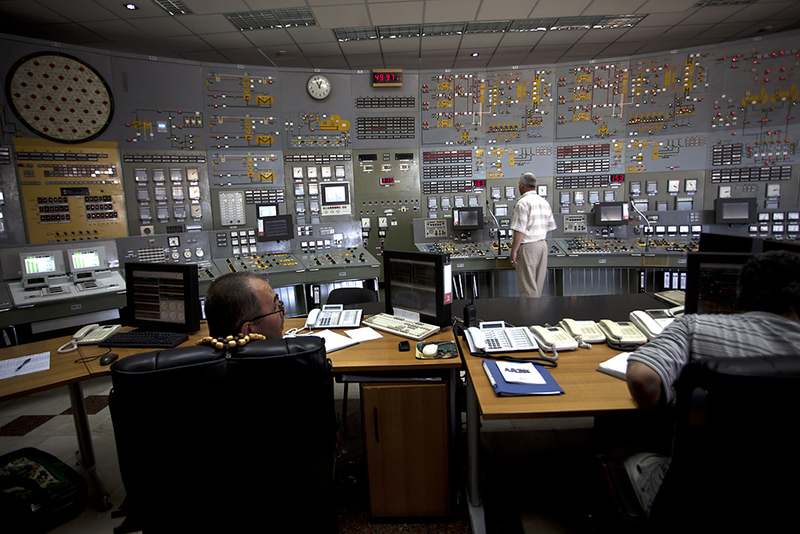 The government has decided to shift to May 2017 a routine shutdown at the Metsamor nuclear power station so that Georgian hydroelectricity, at peak strength in spring and summer, can be imported. Using Russian gas to supply thermal-power plants would be more expensive. While Russia may have growing competition in Armenia’s energy sector, Moscow appears determined to remain a big energy player in the Caucasus energy equation. Galstian spoke to journalists after the energy ministers of Armenia, Iran and Russia and a Georgian deputy energy minister tentatively agreed to increase significantly electricity supplies among their countries. They signed a “roadmap” for the creation of a “North-South energy corridor” by 2019. As economic analyst Ashot Khurshudian cautioned, diversification of ownership in the energy sector “is certainly reducing some of our energy-related risks,” but the impact of that diversification should not be overestimated. In particular, Armenian utility regulators have for years put Gazprom and Russian nuclear fuel suppliers “in a privileged position,” said Khurshudian, who works at the International Center for Human Development (ICHD), a private think-tank in Yerevan. “They always get payments for supplies on time, unlike generation and distribution companies,” he claimed. One of those supposed companies, a thermal-power plant located in the central Armenian town of Hrazdan, is owned by Gazprom. Hrazdan is also home to another, bigger and much older, plant that belonged to Inter RAO until September 2015. The Russian company sold it, along with the Electricity Networks of Armenia (ENA) national power utility, to Russian-Armenian billionaire Karapetian’s Tashir Group. Born and raised in Armenia, Karapetian since the early 1990s has lived in Russia, where he made a fortune valued by Forbes magazine at over $4 billion. The tycoon has always had closer ties with the Armenian government than the Kremlin. His brother, Karen, is a former chief of staff for President Serzh Sargsyan, and a parliamentary deputy for Sargsyan’s Republican Party of Armenia. Building profitable businesses appears to be Samvel Karapetian’s main interest. Shortly after acquiring ENA, Karapetian pledged to crack down on “corrupt employees,” modernize facilities and make the distribution network profitable. Meeting with visiting executives from Moody’s credit ratings agency in February, then-Armenian energy minister Yervand Zakharian claimed that the new ENA management had already cut the company’s massive losses. This has contributed to the overall energy sector’s “financial stability,” an Energy Ministry statement quoted Zakharian as saying. The ICHD’s Khurshudian also believes that ENA has benefited from the change in ownership. “The sale of the Inter RAO assets was definitely a positive development because private firms tend to be more efficient than state-owned ones,” he said. Regulators have announced plans to reduce power prices within the next month; a decision facilitated, at least in part, by a reduction in ENA’s losses. The only other Armenian power-generating facility currently owned by a state-run Russian company is the Sevan-Hrazdan Cascade, a complex of seven hydroelectric plants. Russian media reported in November that the owner, RusHydro, is now prepared to sell it. Emil Danielyan is a freelance journalist based in Yerevan.